He made some excellent points that are still true for today and not only for teenagers but for many adults who I am sorry to say still need to grow up and stop playing school yard bullies and start being productive and helpful citizens. Do you let your mind wander? Scripture tells us to take every thought captive. If we are not careful with our thoughts, they turn into words and actions that can be damaging. So keep your mind in check and don’t let it wander off to places that will lead to harm. Once upon a time when I used to climb rocks an mountains I was taught not to look down, Keeping my eyes focused on what was ahead, and looking for any place that I could securely grasp on to to as I climbed to the top. If you looked down you could be overcome by fear. You start thinking about how high up you are and how far you could fall. I will not say that I never looked down, but the feeling I got when I saw how high I had climbed and how much further I had to go may not of frozen me in my tracks but it did speed up my pulse. I cannot tell you why I chose to climb steep mountains and not take stay on lower ground, but the view from the top of those mountains was breath taking. I wish my body would allow me to to climb again. The feeling of exhilaration I got as I reached the peak and the beauty of overlooking scenery that can only be seen in its fullness from a higher place. God wants to take us to all to a higher place. A place that we can see more clearly, and above the ugliness of this world. A place of beauty and peace. Peace is what I feel when ever I get away from the world and get back to nature. A place where nothing is man made. It is my happy place. Any place in nature that is away from the hectic rat race of this world. I love to look at all that God created and the wonder that it fills me with. Peter may not have been climbing a mountain, but he did walk on water and when he took his eyes off of Jesus and looked down he began to sink. It is easy to be overcome by all that is going on in this world. There are terrible things happening every second of every day. There is no escaping it, bad things are going to happen. Yet no matter how bad it is there is still beauty that can be found if you only look in the right direction. Seeing the love of God is the most amazing breath taking thing you will ever see. You see it in the smile of those filled with His perfect joy. I know those who have suffered tragic loss and yet when I look into their eyes in the midst of their sorrow I see a joy that no words could ever describe. This is the beauty of God’s love. A new born baby, the wistful smile on a seniors face as they recall the days of their childhood. It is all around if you look for Him . He said that if you look for Him you will find Him, but He is not down, He is up. 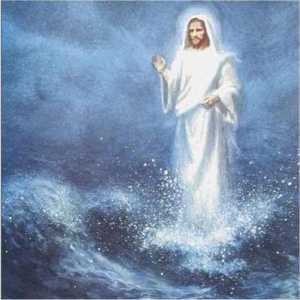 Jesus ascended up to heaven and He will return when the time has come and take us up with Him. Just keep your eyes looking up into the sky, and one day you will see the most beautiful sight on earth. You will see Jesus on His horse coming for you and me. So don’t look down, keep looking up. A better day is coming! Fear can cause physical damage to our body. You can feel chest pains, shortness of breath. Fear can cause a panic attack. There are many things in this world that can cause fear. The enemy wants us to be afraid.There is a long list of phobias. Fear can be a prison. Some are afraid to be in a large crowd, others are afraid to be alone. Some are so filled with fear that they cannot leave their homes. You have heard the saying ‘Scared to death’. People even enjoying being scared by and watch horror movies or go to haunted houses, and tell ghost stories. Fear can cause a fight or flight mentality. It can also cause you to freeze in your tracks and make you feel immobile, like there is nothing you can do and that there is no escape. Yet we do not need to live in fear. 365 times it is written to fear not. God wants us to trust in Him and not be afraid for nothing. When Jesus was tempted by Satan He spoke the Word. We have 365 scriptures to battle fear every day of the year. When fear comes upon you instead of giving into the fear you can speak His Word. I am not saying that this is easy, especially when you are first taking a stand against fear. Are mind is a battle ground. There are so many what if’s that are thoughts gravitate to when facing scary situations. To be honest I know I am one who often looks at the worse case scenario. Yet recent health issues has made me remember that I cannot be afraid that it will only have a more negative effect on my current situation, and can cause my health to get worse. My mother died of a stroke 4 years ago and just a week ago I was diagnosed with hypertension. I had to choose not to be afraid of the diagnosis but be grateful that the diagnosis tells me to care for my body and my health and that I am able to see a doctor. Trusting in the Lord does not come easy for me but He has given me His Word and I can trust Him. Here are some scriptures to help conquer fear in your life. We all long for more of God’s peace in the midst of the stresses of our lives! How Many “Fear Nots” are There in the Bible? Actually, as I share in my book Your Best Life In Jesus’ Easy Yoke, there are way more than 365 “Fear nots” in the Bible! Thank God because we need to be reminded to “Fear not” and trust God everyday. Are there Really More than 365 Fear Nots in the Bible? Many people say, “It’s a nice thought to say that there are 365 ‘Fear nots’ in the Bible, but it’s not true.” Indeed, there is not a version of the Bible that 365 times says, quote unquote, “Fear not.” For instance, the King James Version says “Fear not” or “Be not afraid” 103 times, but not 365 times. So why do I say that there are more than 365 “Fear nots” in the Bible? “Fear” is spoken of over 500 times in the KJV. Furthermore, in addition to the “Fear nots” many times the Bible teaches us to “Fear God,” which really means reverence God alone and do not fear anyone or anything else.Expanding the search to look at verses encouraging us not to worry or not to be anxious would add many, many more “Fear not” Scriptures. This is why I say that there are more than 365 “Fear nots” in the Bible. The Psalmist often leads us in a “Fear not” prayer. The Psalms are the Bible’s great soul book, meant to train us to respond to all life situations and difficulties through prayer and trust in the Lord. What fear is trying to take a hold of you right now? What threat or trouble are you facing? In Your Best Life In Jesus’ Easy Yoke I show you how to use Scripture prayers of the heart like this to overcome anxiety and fear. Let me walk you through your fears and into the loving arms of Christ. You can learn to live with peace and power!